Would you like to receive a fresh impartation in the dance? Would you like to improve your technique by taking a master class? Would you like to participate in an outdoor dance festival that will bless the city? 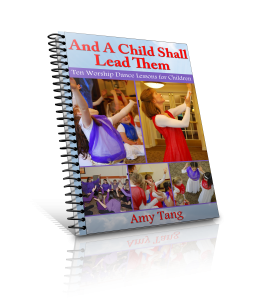 Would you like to build relationships with other dance ministers in the area? If you live in Southern California, you have the opportunity to do all three of these this month. The Dominion Dance Conference in Whittier is right around the corner, on November 20 and 21. I love the theme: It’s The Latter Rain, taken out of (Joel 2:23) Be glad, O children of Zion, and rejoice in the LORD your God, for he has given the early rain for your vindication; he has poured down for you abundant rain, the early and the latter rain, as before. I love that picture of a an abundant rain, pouring down from heaven. Rain softens the ground. May this rain soften hearts. Rain nourishes the ground. May our souls be nourished in worship. Rain causes seeds to germinate and grow. May the seeds already planted in our lives receive the water they need to germinate and grow. A heavy rain cleanses the streets and sidewalks. May our hearts be cleansed. Rain refreshes the earths. May lives be refreshed as God rains down His presence on this event. I want to get rained on. 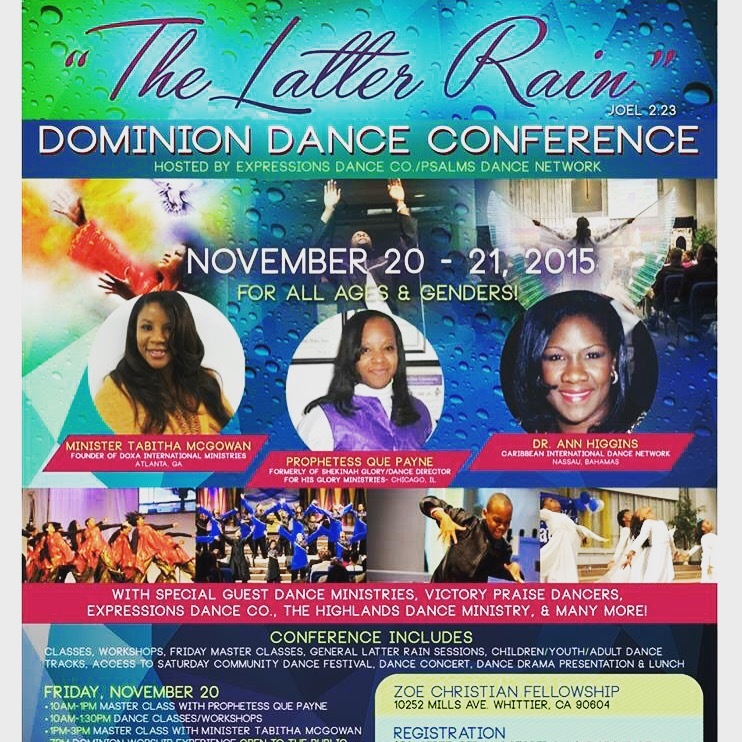 After participating in the When the Spirit Moves Dance concert last month with several of the teams who will be attending and leading at this conference, I felt strongly led to attend. I saw them minister with skill, beauty and power. I want more of what they have. So, if you live in the area, I encourage you to come. If you want to come but just don’t know if you can make it, I encourage you to pray about it and see what the Lord says. Having just come back from a trip to South Carolina for another dance conference, I was uncertain I could get away for another weekend so soon afterwards. But my desire to go kept increasing, not diminishing. So, I prayed about it, shared my heart with my husband, and he gave me his blessing. Here’s the link for the registration. You will save $10 off the at-the-door registration rate if you register online.